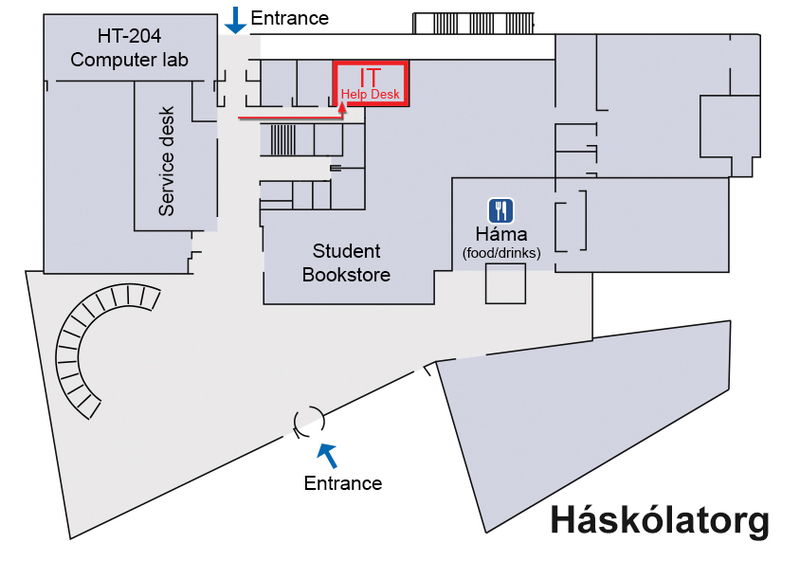 The IT Help Desk (Tölvuþjónusta UTS) is located on Háskólatorg and in Stakkahlíð. The opening hours are between 8.00 to 16.00 every weekday. The IT Help Desk assists users with issues related to computing services and is intended to assist both students and employees. In the fall of 2005 Computing Services (Reiknistofnun) opened a Service desk in Tæknigarður for both students and employees at the University. In August 2009 the Service desk was transferred to Háskólatorg and the name was changed to IT Help Desk of RHÍ. Therefore RHÍ has been able to improve their service by offering a centralized service for all users of the University. In 2018, Computing Services operations moved to a newly established Division of IT as well as the operation of the service desks. 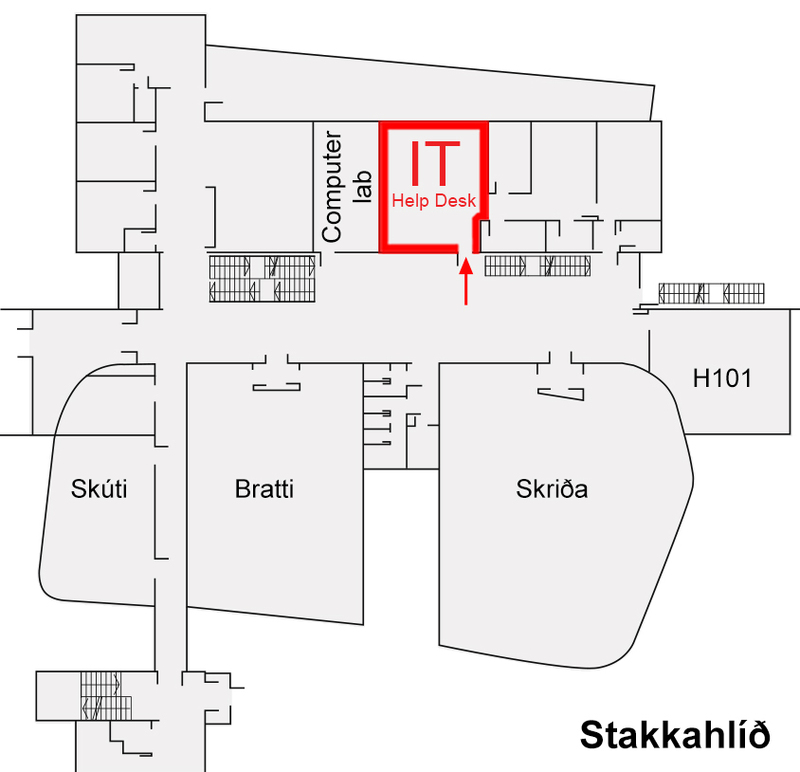 Usually the IT Help Desk has three employees working at Háskólatorg and one in Stakkahlíð. Guiding users and helping with minor computer related problems.